News: figures released this week reveal that One World Trade Center is now the most expensive skyscraper of all time, having cost more than twice as much as the world's tallest building. 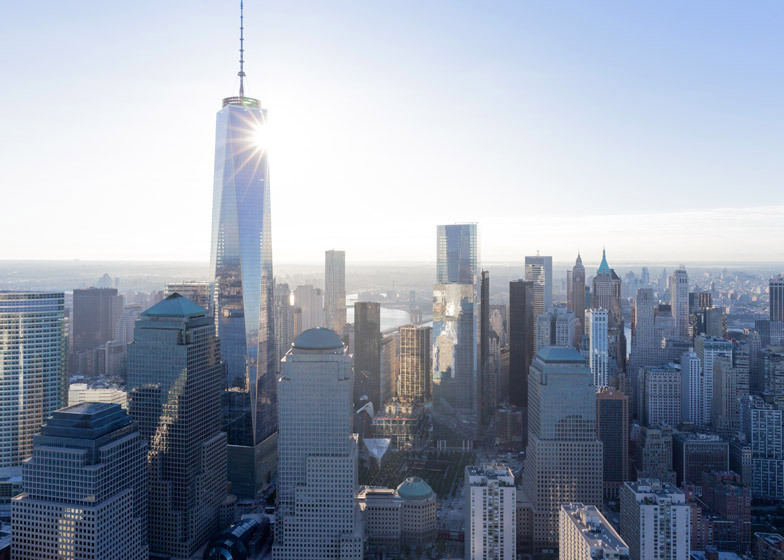 Skidmore, Owings & Merrill's 541-metre-high tower for the Ground Zero site in New York came with a price tag of $3.9 billion (£2.5 billion), according to buildings analyst Emporis, which has compiled a list of the top ten costliest high rises in history. The findings reveal that the tower, which officially opened last month, is the first tall building to ever exceed $2 billion – in fact it almost doubles this figure. Two buildings are vying for second place – the lesser-known Palazzo in Las Vegas, completed by HKS Architects in 2007, and Renzo Piano's The Shard, the 300-metre tower completed six years later. Both cost $1.9 billion (£1.2 billion). The current tallest building in the world, the 828-metre Burj Khalifa also by SOM, only makes fifth place. Its price was $1.5 billion (£1 billion), equalling with MAD's horseshoe-shaped hotel in China. Other projects in the top ten include Herzog & de Meuron's Elbphilharmonie concert hall, which isn't yet complete but has already cost over $1 billion, and Toyo Ito's 242-metre CapitaGreen building in Singapore. "The reasons for the immense costs of skyscrapers are varied in nature," said Emporis, which is based in Hamburg, Germany. "With some buildings, it is known even at the planning stage that they will be cost-intensive, for instance in order to meet the latest environmental standards. Other projects, by contrast, become increasingly costly during construction itself due to unforeseen events or delays."